Creamy pasta & vegetable rotini from Wise Food is a great tasting, long lasting emergency food that you will absolutely love. It can be cooked in just 12 minutes by adding hot water to the pouch, and with each pouch containing two 10 ounce servings, it will be plenty to fill anyone up. Whether you use this as a side dish, or the main course, you’ll love having the ability to prepare this great meal in any situation. Buy one package to give it a try, or order multiple to add to your stockpile of emergency food. 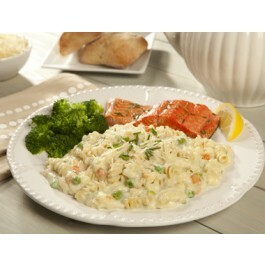 The creamy pasta & vegetable rotini from Wise Foods is one of the best tasting emergency foods on the market today. Wise Foods is well known for not just creating long lasting emergency food rations, but also focusing on making sure they are of the highest quality, and that they taste great too. Perhaps most importantly, the nutrition in this meal is carefully balanced to ensure you are getting what you need in any situation. Each serving contains 5 grams of protein, 34 grams of carbohydrates, 5 grams of fat and 210 calories. In addition, you’ll get 8% of your iron and 25% of vitamin A and several other essential nutrients in every serving. 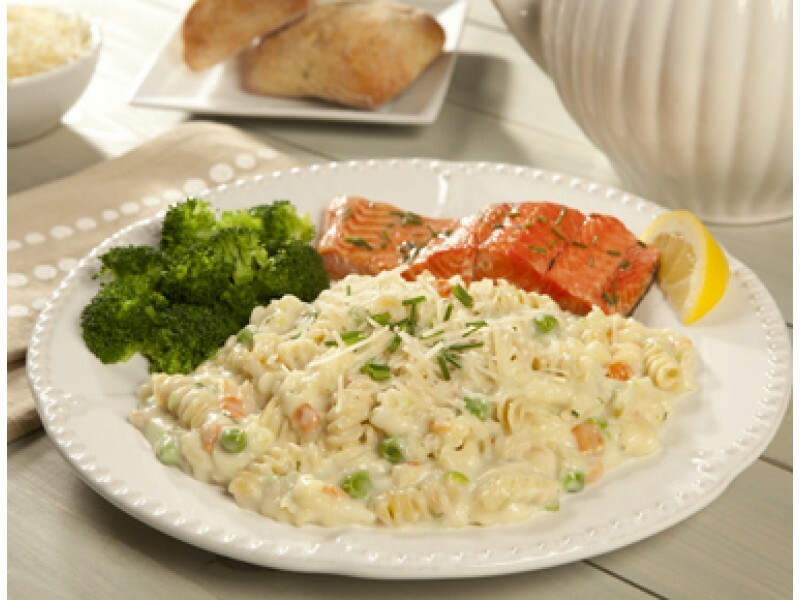 Like all Wise Foods emergency food packages, this creamy pasta & vegetable rotini will last for twenty years or more on the shelf, so you really don’t have to worry about it going bad. When disaster strikes, you can confidently go down to your stockpile and pull out this delicious meal. Whether you’re purchasing one package to see if you like it, or you want to stock up and add some diversity to your food storage system, you’ll undoubtedly be happy with the quality and taste of every bite.